For other uses, see Sydney (disambiguation). Sydney is a city on the east coast of Australia which is the capital city of New South Wales. About four million people live in Sydney which makes it the biggest city in Oceania. Sydney started in 1788, when the Captain Arthur Phillip brought the First Fleet to settle in Australia. The settlers were mostly convicts from crowded prisons in England and Ireland, with a group of soldiers to guard them. The country is home to more than 200 spoken languages with a large population of overseas-born residents. In Sydney, there are many famous buildings: the Sydney Opera House, the Queen Victoria Building and the Sydney Harbour Bridge. Sydney has a large harbour and many beaches. The most famous beach is Bondi Beach, some other famous beaches are Coogee Beach and Manly Beach. A popular coastal walk to do is the Bondi to Coogee Coastal Walk. Famous parts of the harbour are Darling Harbour and Circular Quay. The most famous sports ground in Sydney is ANZ Stadium (which used to be called "Stadium Australia") because it was built for the 2000 Summer Olympics. Another stadium in Sydney is the Sydney Cricket Ground (SCG). Other high-profile global events held in Sydney were: 2007 APEC Leaders Conference, 2008 World Youth Day and the 2014 G20 Finance Ministers and Central Bank Governors meeting. Sydney has many things to see and do. These include visiting Taronga Zoo (a park for animals) on the northern side of the harbour, eating food, looking at art or watching sports (like cricket or rugby) or walking down George Street which has many nice shops. Sydney has some of Australia's best shopping, and the Blue Mountains are about two hours' drive away to the west. Many people go to Sydney City to watch the great fireworks display over the harbour on New Year's Eve. Sydney holds events throughout the year that attract tourists from around the world, some namely events are Vivid Sydney, Royal Easter Show, and more. Sydney city and its surrounding suburbs include the Central Business District, Inner City, Sydney East, Sydney North, Sydney South and Sydney West. Sydney is home to a range of events that happen throughout the year, drawing many tourists and visitors to the city. One of Sydney's biggest event holding convention centre is the newly rebuilt International Convention Centre located by Darling Harbour, Sydney. Vivid Sydney is held every year in June in the winter and is a display of light shows, art installations and music from local and international artists. In 2016, Vivid Sydney will run for 23 spectacular nights from 27th May to June 18. The Royal Easter Show is held in Sydney Olympic Park throughout the Easter public holiday period in April. It is a family attraction with rides, carnival games, showbags and food tents. There are also agriculture shows where children can learn more about farm animals as well as animal feeding areas. Shows such as woodcutting and animal competitions are popular every year. Mercedes Benz Fashion weekend runs for two days every year and features runway shows by leading Australian designers. The event is attended by fashion journalists, magazine editors, bloggers and fashion buyers. There are also Styling Sessions and VIP parties at the home of fashion week in Carriageworks in the inner city suburb of Redfern. Wikimedia Commons has media related to Sydney Australia. ↑ "3218.0 – Regional Population Growth, Australia, 2015–16:ESTIMATED RESIDENT POPULATION – Australia's capital city populations, June 2016". Australian Bureau of Statistics. Australian Bureau of Statistics. Retrieved July 29, 2017. Estimated resident population, June 30, 2016. ↑ "3218.0 – Regional Population Growth, Australia, 2014–15: New South Wales: Population Density". Australian Bureau of Statistics. 30 March 2016. Archived from the original on 5 April 2016. Retrieved 31 March 2016. 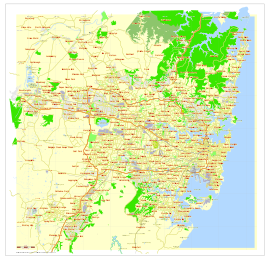 ↑ "Greater Sydney: Basic Community Profile" (xls). 2011 Census Community Profiles. Australian Bureau of Statistics. March 28, 2013. Retrieved April 9, 2014. ↑ "Cumberland County". Geographical Names Register (GNR) of NSW. Geographical Names Board of New South Wales. Retrieved September 20, 2017. ↑ 5.0 5.1 5.2 "Sydney (Observatory Hill)". Climate statistics for Australian locations. Bureau of Meteorology. Retrieved December 15, 2016. ↑ "Sydney". Geographical Names Register (GNR) of NSW. 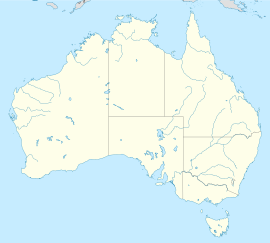 Geographical Names Board of New South Wales. Retrieved February 28, 2015. ↑ "Sydney Information". Business Events Sydney. Retrieved August 30, 2016. ↑ "Bondi to Coogee Coastal Walk". Destination NSW. Retrieved March 17, 2016. ↑ "Sydney Shines". Business Events Sydney. Retrieved February 9, 2017. ↑ "Sydney shopping precincts". Destination NSW. Retrieved March 17, 2016. ↑ "Sydney Festivals and Events". Business Events Sydney Festivals and Events. Retrieved August 30, 2016. ↑ "International Convention Centre". Business Events Sydney. Retrieved August 30, 2016. ↑ "Vivid Sydney Event". Sydney Tourism NSW. Retrieved March 31, 2016. ↑ "Royal Easter Show Event". Sydney Tourism NSW. Retrieved March 31, 2016. ↑ "Mercedes Benz Fashion Weekend". Sydney Tourism NSW. Retrieved March 31, 2016. ↑ "Sydney (Observatory Hill)". Climate statistics for Australian locations. Bureau of Meteorology. Retrieved August 15, 2010.